When you book an Oyster programme you are offered the opportunity to offset your flight with a £15 donation to TREE AID. As we all know flying has a negative impact on the environment so when you are still keen to travel we think it is important to try and offset that impact. 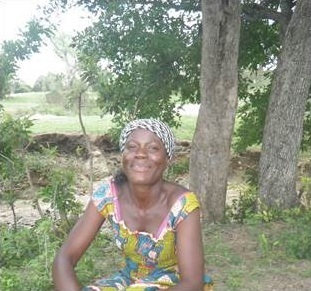 For every £15 donated TREE AID is able to plant 15 trees in an area that needs them most. TREE AID works in the northern ‘drylands’ of sub-Saharan Africa. One of the biggest challenges that people who live in this area face is that during the dry season the top soil can blow away if it isn’t protected by vegetation, this means that there is little for plants to grow in. This is a huge problem as it makes farming extremely difficult. TREE AID plants trees in areas that need them. Their roots act as an anchor for the top soil which means that other plants have something to grow in. Trees also stabilise river banks, and provide nuts and berries that can be eaten and people can use leaves and bark to make things that can be sold at market. When a landscape has more trees it is better able to withstand weather extremes and fight against poverty. If you would like to donate to TREE AID to offset your flight just remember to check the box on your booking form or visit the TREE AID donation page. You can also learn more about Oyster’s environmental responsibilities on our environmental policy page. Previous Post Our trainee ski instructors in Jasper are having an awesome time!